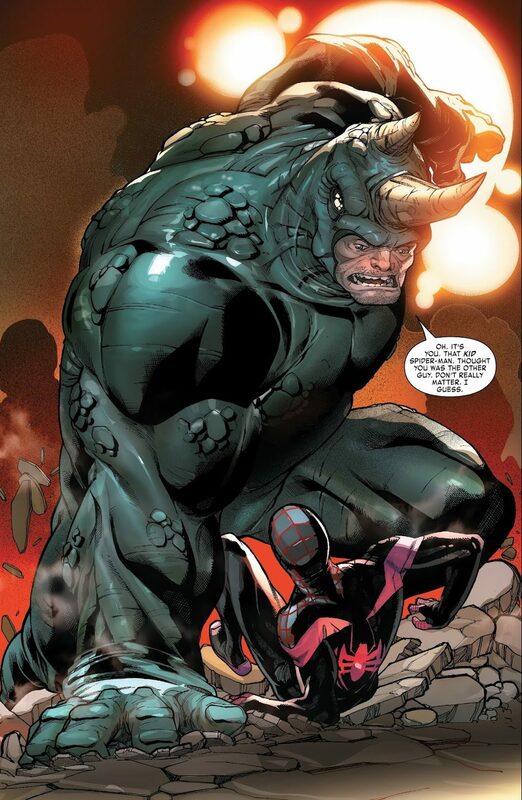 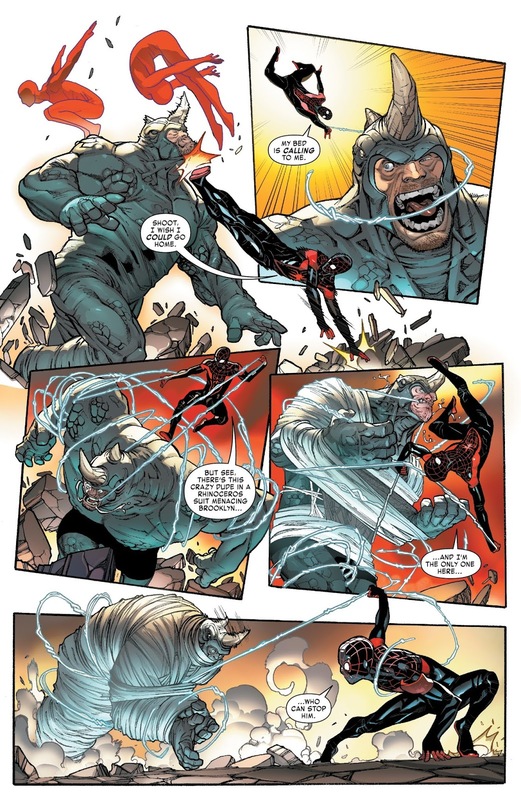 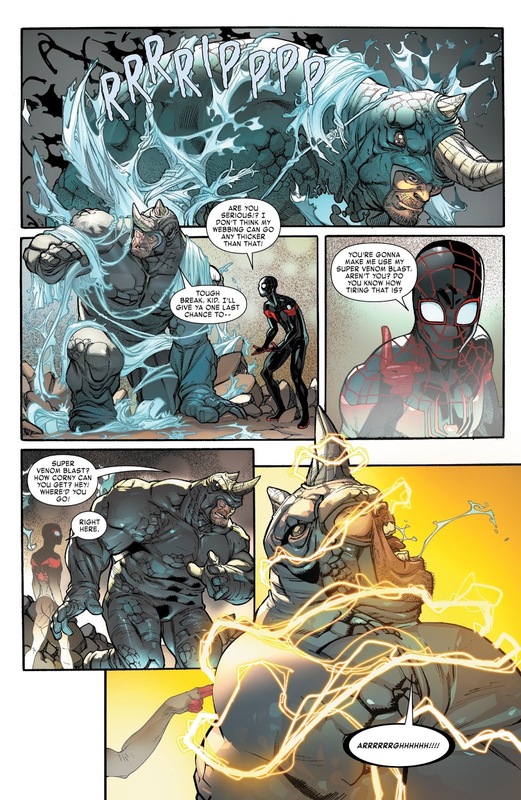 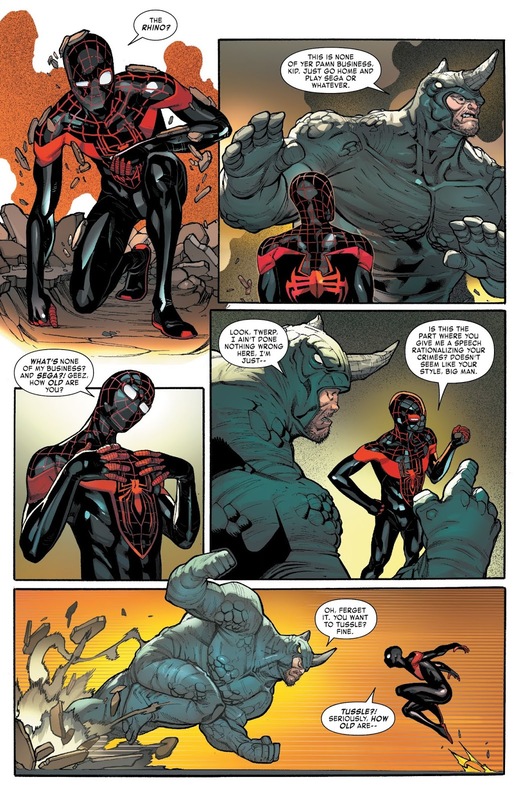 It looks like Spider-Man Miles Morales’ attacks against Rhino weren’t taking any huge effect, which makes be think had both gone serious in the fight Miles would have lost. 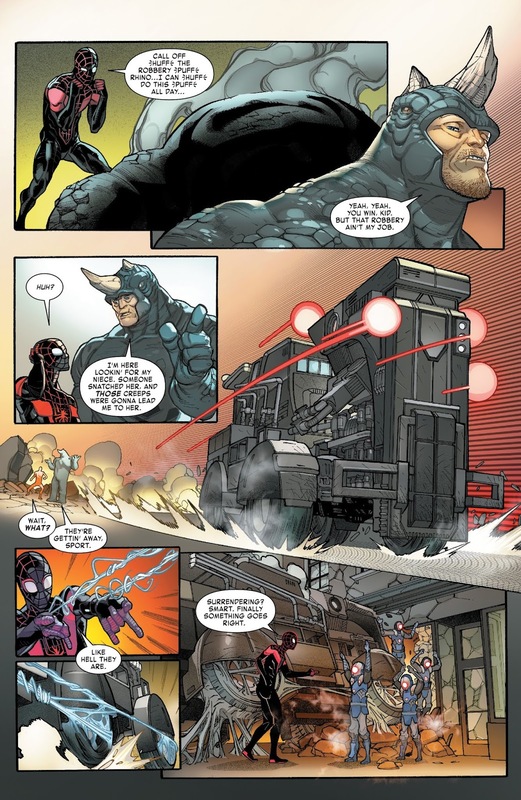 He basically threw all his powers against Rhino and the latter just shrugged it off. 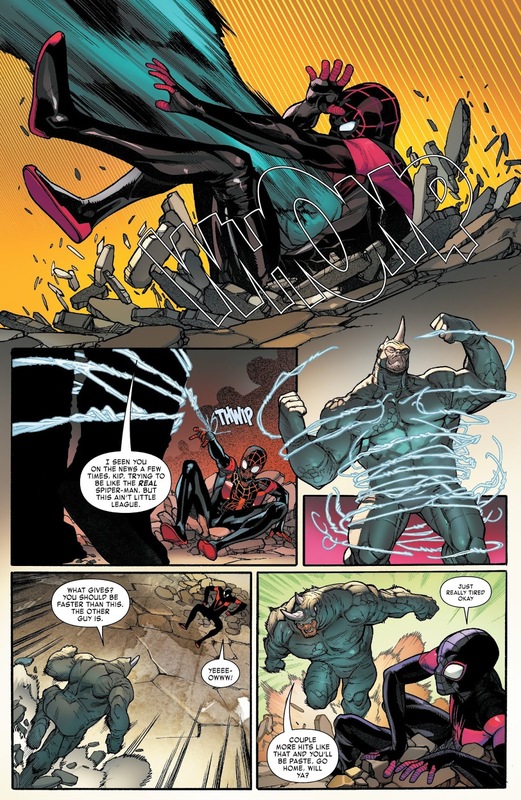 Nice reference to Captain America’s “I can do this all day” line.